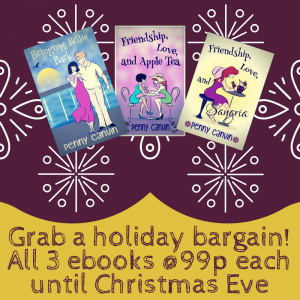 Until Christmas Eve, all three ebooks are on sale at 99p each! Click the image to go to the Amazon page… and enjoy! Author PennyCPosted on December 13, 2017 Categories PromotionTags book sale, ebook promotion, ebook saleLeave a comment on Sale now on!